We thought that it'd be fun to do an occasional post in which we highlight a book, even if it’s not a YA title, that has had an impact on us and shaped us into the readers that we are today. 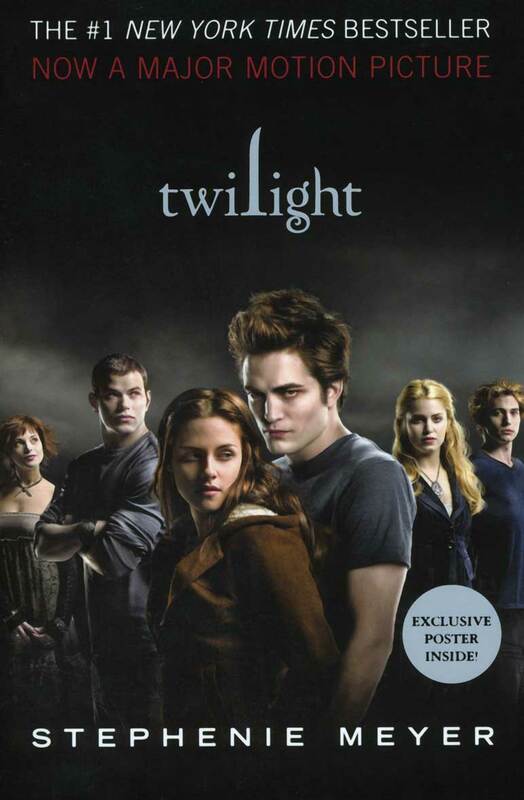 I’m kicking off this feature with Twilight, the novel that, for better or worse depending on who you ask, introduced the world to average human teenager Bella Swan and sparkly vampire Edward Cullen. I absolutely did not predict how much this book would affect my life, and I’m not just talking about the amount of money that I would eventually spend on the books, movie tickets, books about the making of the movies, etc. Twilight is the book that helped me rediscover my love of reading after a very, very long spell of not picking up a book on a regular basis. And if I hadn’t started reading again, I certainly wouldn’t be here today blogging about books. As a kid, I was an extremely avid reader and always had my nose buried in a book. Once I went to high school, though, I had a lot less time for leisure reading. My summers as a teenager were filled with required reading, a lot of which wasn’t really my cup of tea and further put me off from books. College left even less time for anything but school-related reading, and by the time I graduated, one of the last things that I wanted to see for a while was a book. After college graduation, I did read on occasion, but definitely not as much as I once did. That thought saddened me, but I didn’t know how to rekindle the love that I used to have for books. Then in 2008, my best friend asked me if I’d read this book called Twilight. I’d seen it on The New York Times Best Seller list for a while but never paid much attention to it. She had enjoyed reading the book and recommended it, but she did warn me that she didn’t like the second book nearly as much. I decided to give Twilight a try and bought a copy, which then sat on my shelf for about two months until Christmas. It probably would have remained there even longer if my cousin (and our guest blogger), Melissa, hadn’t received a copy as a gift and urged me to start reading mine. So I did. For the next few nights, I got very little sleep because I could not put this book down. It wasn’t the best book that I’d ever read, but there was something about it that grabbed my attention and refused to let go. I was 31 at the time, and I hadn’t been this obsessed with a book in ages. The day after I finished reading Twilight, I went out and bought the rest of the series. I haven’t stopped reading (and buying books) since. Although my fervor for all things Twilight has waned quite a bit over time, this book will always hold a special place in my heart because it got me back into reading for good. This is going to sound really corny, but in a way I feel like I’ve been reunited with a long lost best friend. One thing is for sure: we’re never going to fall out of touch again. Whatever people think about books like 'Twilight' and 'Harry Potter', they brought a lot of people back into reading, which is a very good thing. I've been noticing the same thing with the 'Hunger Games' series -- a lot of my students who usually hate to pick up a book will gladly read about Katniss and her adventures. I completely agree with you- no matter what people's opinions are of these books, if they encourage more reading, that's definitely a positive. The Hunger Games is a great example of a series that fosters a love of books among younger readers. Adults like me love it, too, of course! I love this idea! So fun to think back on the books that "shaped" you as a reader. This was a lot of fun, and I'm really looking forward to doing more of these posts. I love looking back on the books that have stuck with me over the years. I am with you on this. Twilight brought me back to books too and I am glad it did. It also introduced me to the YA genre. I didn't really read YA as a teen; once I started high school, it was straight into the classics and adult books. So Twilight was an introduction of sorts to YA for me, too. I totally see what you mean, I was 17 when I read Twilight and I'll owe Stephenie Meyer forever for getting me back to read :) !! I owe her big time, too! 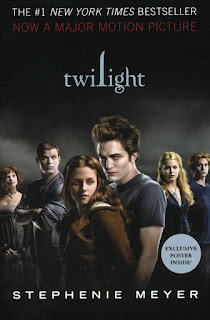 I love reading now more than I ever did, all thanks to Twilight! Twilight was the same for me--I shudder to think where I'd be if I hadn't rediscovered my love for reading! I can't imagine my life without reading, either. What makes me cringe is thought of all those years during which I only picked up a book here and there. I have a lot of lost time to make up for! I remember the books we were made to read in primary were the sole reason I never picked up a book when I was out of school. Then the same for high school. I really don't know what they always chose bookss I had no interest in :/ Then again I love anything paranormal, with dystopian themes, fantasy and action. They always chose contemporary books and I'm not a fan of that genre. Aww that's sweet! Twilight and the Vampire Academy were the books that got me back into reading at the end of high school. Then I stopped once I went to uni because I had no time for leisur reading. Then The Hunger Games was what got me back into reading, and this time I hope for good! It's interesting that you had to read contemporary books for school. My high school was very big on the classics, which was fine, but the ones that I had to read didn't really click with me, except for Shakespeare. I loved Vampire Academy when I read it earlier this year, and sometimes I wonder what I would have thought of Twilight if I had read VA first. Lee, I totally understand and I am sure there are so many of us, though most might not like to admit it! 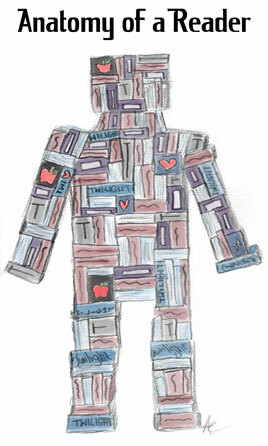 Like you, I was a bookworm from a very young age, I spent most of my time reading and borrowing or buying books. Then after high school and uni I just stopped reading... I wasn't seeking out new books, I would occasionally borrow some crime/mystery books from my mum/friends. I heard about Twilight and thought it sounded ridiculous, despite my best friend encouraging me to read it. Then finally another friend suggested I read it and I totally understood, I read Twilight over a day or so and the rest of the books that week. They are FAR from being good books but they were captivating and after that I got back into reading - hooray! It's amazing how many other readers began picking up books again because of Twilight! I owe my best friend a huge thanks for really bringing the book to my attention. Sometimes it seems a bit unreal to me that a book featuring a vampire who sparkles is the one that turned me back into a bookworm, but I'm a happier person for it, and I have to give credit where credit is due.